There can be no doubt that once the great ethnomusicologist Verna Gillis really introduced the world to African music, the celebrated genius, Youssou N’Dour and his iconic Super Étoile de Dakar, with The Guide (Wommat) (Sony, 1994) the floodgates to Senegal, its kora masters and thunderous sabar drummers have been thrown open. 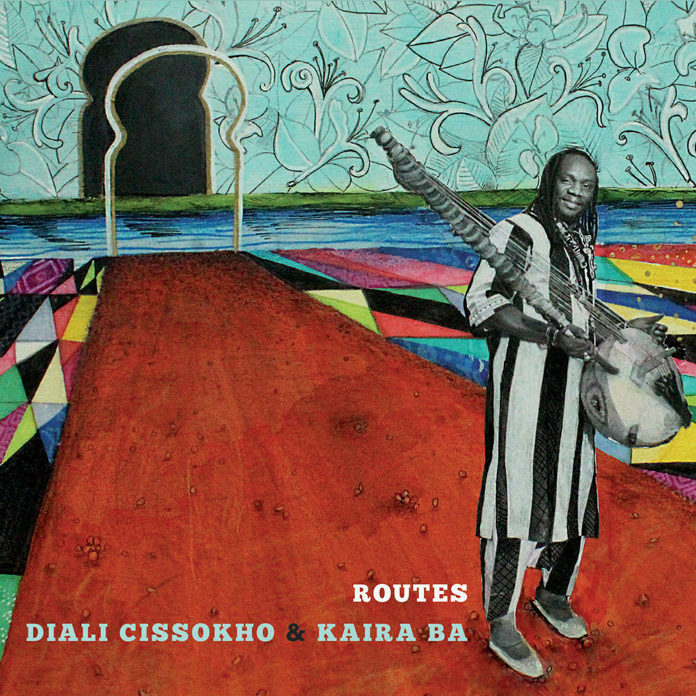 One of the latest to break through is Diali Cissokho & Kaira Ba. The kora virtuoso is now based in North Carolina – after, he says, he “fell in love and emigrated from (M’bour) Senegal to the US to be with his wife” and now returns with a “super- étoile” of his own. The result is the highly combustible music of Routes, an elaborate production that includes scores of Senegalese sabar drummers, vocalists and other instrumentalists whose dazzling skills have been melded together with a large American ensemble. The group is, of course, fronted by Mr Cissokho and his quintet Kaira Ba. Although there is often a focus on western instruments, such as a very prominent pedal steel guitar in such songs as “Saya” (among others) and the electric and bass guitar together with the Western-style drum set, the sound is predominantly Senegalese. Again, the music is largely sung in wolof, often mixed in with French and English; all of this goes into the unique rhythmic overdrive characterised by the sharp thunderclap of the sabar drums that propels the high and lonesome vocalastics of the Senegalese singers led by Mr Cissokho. Diali Cissokho is essentially a Senegalese-African griot and the music comes from stories handed down to him by his father and other members of his family. Mandinka cultural elements swathe “Badima”, a gleaming gem of a piece while elsewhere the mysticism and mysteries of Mandinka mythology is eloquently explored in “Ndoli”. Other stories are more grounded in human relationship, such as “Xarit”, which sings of the power of brotherhood and friendship; still others deal with universal feelings of love as in “Baayi Leen”. However, everywhere there is a sense that this is a collection of songs that are deeply immersed in Senegalese culture and even when the lyrics are sung in English to the accompaniment of the electric guitar, all it takes is one explosive clatter of the sabar drum to fire the music back to where it belongs – in the beating heart of M’Bour, Senegal, home to the ever-wonderful kora master and vocalist Diali Cissokho.